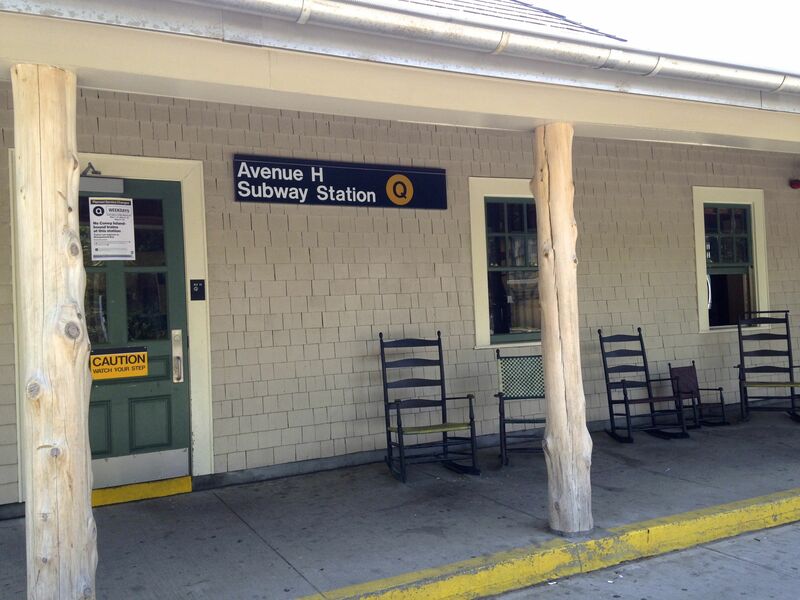 Avenue H Station, Brighton Line. The rocking chairs are real, but I will not be sitting in one. I put in my papers to take early retirement from New York City Transit. I’m embarrassed to write that sentence because I barely feel like an adult, much less one eligible to collect a pension. Six years ago, right before July 4th weekend, my boss called me into his office to tell me I was being involuntarily re-assigned. While he was talking I started thinking about retiring. This entry was posted in Authenticity and tagged bullying, butch, demotion, genderqueer, lesbian, queer, retirement, transgender, work on May 14, 2014 by Jamie Ray.